KEB Hana Bank has arranged a $280 million syndicated loan to the biggest owner of the Ritz-Carlton hotel in Manhattan from a pool of South Korean financial institutions and a Japanese bank, as Korean financial institutions are seeking to fill the void left after China and Japan slowed down investment in the United States. KEB Hana, part of South Korea’s Hana Financial Group, signed a credit agreement with New York-based Westbrook Partners to extend the five-year senior loan secured on the property on April 3, according to the Maeil Business Newspaper on April 5. Westbrook owns 51% of the hotel, while Korea Investment Corporation, a sovereign wealth fund, holds the remaining 49% after buying the equity interests in 2016. A pool of South Korean banks, brokerage firms and insurance companies participated in the syndicated lending group, including KEB Hana Bank, Mirae Asset Daewoo Co. Ltd., Samsung Securities Co. Ltd., Kyobo Life Insurance Co. Ltd. and Hana Life Insurance Co. Ltd. The Japanese bank in the lending group was not identified. “This deal is meaningful in that South Korean financial institutions worked together to extend a large-size loan to a US company. It served as a momentum to make the presence of Korean capital known to Wall Street,” the Maeil Business Newspaper quoted an unnamed financial industry source as saying. Chinese investment in the United States has tapered off since Donald Trump’s installation as US president, hit by China’s controls on outbound capital and tighter screening of deals by US authorities. Japanese financial services firms also remain lukewarm about lending to US companies, the newspaper added. Westbrook Partners, a real estate investment company, had reportedly sought a $300 million floating-rate loan with a five-year term on the luxury hotel. It intended to use the proceeds of a new loan to repay a $135 million loan and renovate the property at 50 Central Park South, Commercial Mortgage Alert, a US publication, reported in August 2017. Built in 1928, the hotel that faces the Central Park was converted into a hotel and residential-condominium property in 1999. Westbrook has been trying to convert the hotel portion of the building, valued at $500 million, into residential condominiums. 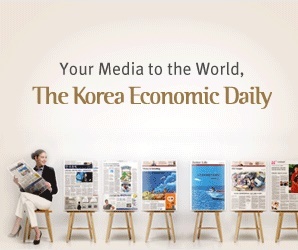 A conversion of the hotel portion into condominiums would create an additional value of $130 million, according to the Korean newspaper. The 298-room hotel occupies the first 12 floors of the building, and a 120-unit condominium fills the upper 26 floors. KEB Hana Bank’s New York branch, instead of its Seoul headquarters, arranged the loan, which became the biggest syndicated loan extended by a South Korean bank’s New York office to a US company. The outstanding loan volume of KEB Hana Bank’s New York branch is $1.2 billion, half of which is owed by US companies. Meanwhile, Mirae Asset Daewoo, South Korea’s biggest securities company by equity capital, became the first South Korean institution to launch a prime brokerage platform for US hedge funds in July 2017.